AlhanaUI is a Tukui edit based off of the original ExUI edit. AlhanaUI adds easily accessible features, such as Filger, easy Twitter posting, buttons to access Tukui commands. AlhanaUI also adds 5 new datatext spots. If you have any questions or concerns feel free to ask below. If you were previously using SquareMinimapButtons it is no longer needed as their is a minimalistic version builtin to AlhanaUI now. 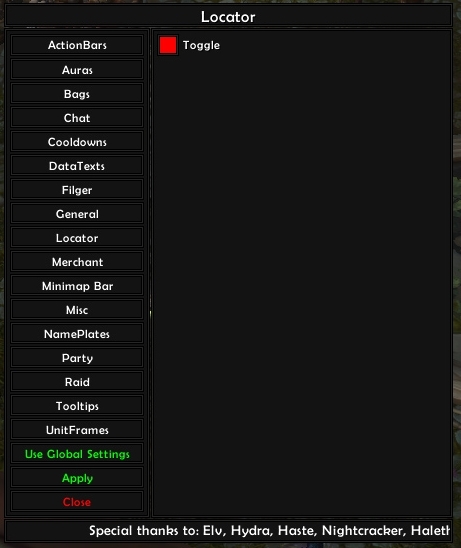 Also if you are using my AlhanaUISexyMap addon the buttons bar is directly below the map and only appears on mouseover. The latest version of this addon is 4.18 and was uploaded on Dec 14, 2018 at 22:43. This file was last downloaded on Apr 18, 2019 at 14:02 and has been downloaded 35410 times. oh the 2 outside action bars there are data text boxes but when I go and move the 2 action bars the data boxes also move is there any way of stopping that? It may work, I can't say with a 100% certainty as I don't have access to 7.1/7.3.5, but with the changes brought with 8.0.1 I'm positive it will throw .lua errors. Are you playing on a private server? However if you are playing a new toon and just leveling and just haven't purchased BfA yet then it should work just fine. You can reduce the amount of buttons it shows by shift+click on the button to hide your bars, for example in the image in the AlhanaUI details at the top if you shift+click that ? it will hide a button. It works the same on the left and right side of the main 2 actionbars in the bottom center. Hi there, love your addon so thanks so much for sharing. Ii was wondering, is there a setting to hide empty buttons? I took the back panel off and I'd like to streamline a little if possible. Thanks! hay i have a question i would like to change the scaling of the ui but when i change from pixel perfect to small the data text panels won't scale with the action bars is this a bug or is ist impossible to scale the entire ui ? Thanks for the heads up, I will keep at it and see if I can narrow it down even further. I'm guessing you are using version 4.12 correct? Hey @Thai Thanks I like that UI setup you are using too. if you are using the AlhanaUI on this page, then you need Tukui installed. 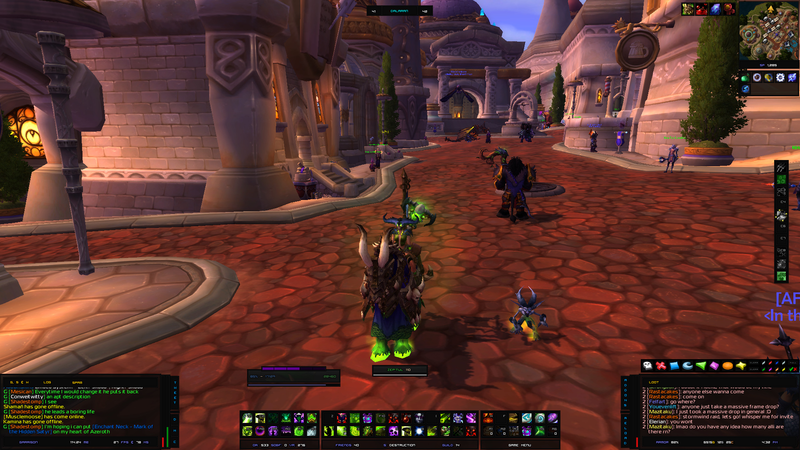 If you are using my Elvui Edit then you only need Elvui & Shadow & Light installed.